Java concurrency (multi-threading). This article describes how to do concurrent programming with Java. It covers the concepts of parallel programming, immutability, threads, the executor framework (thread pools), futures, callables CompletableFuture and the fork-join framework. Concurrency is the ability to run several programs or several parts of a program in parallel. If a time consuming task can be performed asynchronously or in parallel, this improve the throughput and the interactivity of the program. A modern computer has several CPU’s or several cores within one CPU. The ability to leverage these multi-cores can be the key for a successful high-volume application. A process runs independently and isolated of other processes. It cannot directly access shared data in other processes. The resources of the process, e.g. memory and CPU time, are allocated to it via the operating system. A thread is a so called lightweight process. It has its own call stack, but can access shared data of other threads in the same process. Every thread has its own memory cache. If a thread reads shared data it stores this data in its own memory cache. A thread can re-read the shared data. A Java application runs by default in one process. Within a Java application you work with several threads to achieve parallel processing or asynchronous behavior. Within a Java application you work with several threads to achieve parallel processing or asynchronous behavior. Concurrency promises to perform certain task faster as these tasks can be divided into subtasks and these subtasks can be executed in parallel. Of course the runtime is limited by parts of the task which can be performed in parallel. The theoretical possible performance gain can be calculated by the following rule which is referred to as Amdahl’s Law. If F is the percentage of the program which can not run in parallel and N is the number of processes, then the maximum performance gain is 1 / (F+ ((1-F)/n)). Threads have their own call stack, but can also access shared data. Therefore you have two basic problems, visibility and access problems. Liveness failure: The program does not react anymore due to problems in the concurrent access of data, e.g. deadlocks. Safety failure: The program creates incorrect data. A Java program runs in its own process and by default in one thread. Java supports threads as part of the Java language via the Thread code. The Java application can create new threads via this class. Java 1.5 also provides improved support for concurrency with the in the java.util.concurrent package. Java provides locks to protect certain parts of the code to be executed by several threads at the same time. The simplest way of locking a certain method or Java class is to define the method or class with the synchronized keyword. Synchronization is necessary for mutually exclusive access to blocks of and for reliable communication between threads. You can use the synchronized keyword for the definition of a method. This would ensure that only one thread can enter this method at the same time. Another threads which is calling this method would wait until the first threads leaves this method. You can also use the synchronized keyword to protect blocks of code within a method. This block is guarded by a key, which can be either a string or an object. This key is called the lock. For example the following datastructure will ensure that only one thread can access the inner block of the add() and next() methods. * a list of sites which needs still to be crawled. As of Java 5 write access to a volatile variable will also update non-volatile variables which were modified by the same thread. This can also be used to update values within a reference variable, e.g. for a volatile variable person. In this case you must use a temporary variable person and use the setter to initialize the variable and then assign the temporary variable to the final variable. This will then make the address changes of this variable and the values visible to other threads. The Java memory model describes the communication between the memory of the threads and the main memory of the application. It defines the rules how changes in the memory done by threads are propagated to other threads. The Java memory model also defines the situations in which a thread re-fresh its own memory from the main memory. It also describes which operations are atomic and the ordering of the operations. The Java language specification guarantees that reading or writing a variable is an atomic operation(unless the variable is of type long or double ). Operations variables of type long or double are only atomic if they declared with the volatile keyword. Assume i is defined as int. The i++ (increment) operation it not an atomic operation in Java. This also applies for the other numeric types, e.g. long. etc). The i++ operation first reads the value which is currently stored in i (atomic operations) and then it adds one to it (atomic operation). But between the read and the write the value of i might have changed. The Java memory model guarantees that each thread entering a synchronized block of code sees the effects of all previous modifications that were guarded by the same lock. The simplest way to avoid problems with concurrency is to share only immutable data between threads. Immutable data is data which cannot changed. An immutable class may have some mutable data which is uses to manages its state but from the outside this class nor any attribute of this class can get changed. You must protect your classes from calling code. Assume that calling code will do its best to change your data in a way you didn’t expect it. While this is especially true in case of immutable data it is also true for non-immutable data which you still not expect that this data is changed outside your class. To protect your class against that you should copy data you receive and only return copies of data to calling code. The following example creates a copy of a list (ArrayList) and returns only the copy of the list. This way the client of this class cannot remove elements from the list. The base means for concurrency are is the java.lang.Threads class. A Thread executes an object of type java.lang.Runnable. Runnable is an interface with defines the run() method. This method is called by the Thread object and contains the work which should be done. Therefore the “Runnable” is the task to perform. The Thread is the worker who is doing this task. The following demonstrates a task (Runnable) which counts the sum of a given range of numbers. Create a new Java project called de.vogella.concurrency.threads for the example code of this section. * countUntil and then write the result to the console. The following example demonstrate the usage of the Thread and the Runnable class. Using the Thread class directly has the following disadvantages. Creating a new thread causes some performance overhead. Too many threads can lead to reduced performance, as the CPU needs to switch between these threads. You cannot easily control the number of threads, therefore you may run into out of memory errors due to too many threads. The java.util.concurrent package offers improved support for concurrency compared to the direct usage of Threads. This package is described in the next section. You find this examples in the source section in Java project called de.vogella.concurrency.threadpools. Thread pools manage a pool of worker threads. The thread pools contains a work queue which holds tasks waiting to get executed. A thread pool can be described as a collection of Runnable objects. (work queue) and a connections of running threads. These threads are constantly running and are checking the work query for new work. If there is new work to be done they execute this Runnable. The Thread class itself provides a method, e.g. execute(Runnable r) to add a new Runnable object to the work queue. The Executor framework provides example implementation of the java.util.concurrent.Executor interface, e.g. Executors.newFixedThreadPool(int n) which will create n worker threads. The ExecutorService adds life cycle methods to the Executor, which allows to shutdown the Executor and to wait for termination. If you want to use one thread pool with one thread which executes several runnables you can use the Executors.newSingleThreadExecutor() method. Now you run your runnables with the executor framework. In case the threads should return some value (result-bearing threads) then you can use the java.util.concurrent.Callable class. The executor framework presented in the last chapter uses Runnable objects. Unfortunately a Runnable cannot return a result to the caller. In case you expect your threads to return a computed result you can use java.util.concurrent.Callable. The Callable object allows to return values after completion. The Callable object uses generics to define the type of object which is returned. If you submit a Callable object to an Executor, the framework returns an object of type java.util.concurrent.Future. Future exposes methods allowing a client to monitor the progress of a task being executed by a different thread. Therefore, a Future object can be used to check the status of a Callable. It can also be used to retrieve the result from the Callable. On the Executor you can use the method submit to submit a Callable and to get a future. To retrieve the result of the future use the get() method. The Future interface is limited as a model of asynchronously executed tasks. Future allows a client to query a Callable task for its result. It does not provide the option to register a callback method. A callback method would allow you to get a callback once a task is done. In Java 5 you could use ExecutorCompletionService for this purpose but as of Java 8 you can use the CompletableFuture interface which allows to provide a callback interface which is called once a task is completed. application logic is called once the task completes, this is called a nonblocking approach. CompletableFuture extends the functionality of the Future interface for asynchronous calls. It also implements the CompletionStage interface. CompletionStage offers methods, that let you attach callbacks that will be executed on completion. It adds standard techniques for executing application code when a task completes, including various ways to combine tasks. CompletableFuture support both blocking and nonblocking approaches, including regular callbacks. This callback can be executed in another thread as the thread in which the CompletableFuture is executed. The following example demonstrates how to create a basic CompletableFuture. CompletableFuture.supplyAsync runs the task asynchronously on the default thread pool of Java. It has the option to supply your custom executor to define the ThreadPool. The usage of the thenApply method is demonstrated by the following code snippet. Java 5.0 provides supports for additional atomic operations. This allows to develop algorithm which are non-blocking algorithm, e.g. which do not require synchronization, but are based on low-level atomic hardware primitives such as compare-and-swap (CAS). A compare-and-swap operation check if the variable has a certain value and if it has this value it will perform this operation. Non-blocking algorithms are typically faster than blocking algorithms, as the synchronization of threads appears on a much finer level (hardware). For example this created a non-blocking counter which always increases. This example is contained in the project called de.vogella.concurrency.nonblocking.counter. The interesting part is how the incrementAndGet() method is implemented. It uses a CAS operation. The JDK itself makes more and more use of non-blocking algorithms to increase performance for every developer. Developing correct non-blocking algorithm is not a trivial task. Java 7 introduce a new parallel mechanism for compute intensive tasks, the fork-join framework. The fork-join framework allows you to distribute a certain task on several workers and then wait for the result. For Java 6.0 you can download the package (jsr166y) from the Download site. For testing create the Java project “de.vogella.performance.forkjoin”. If you are not using Java 7 you also need to jsr166y.jar to the classpath. Create first a algorithm package and then the following class. Define now the Solver class as shown in the following example coding. The API defines other top classes, e.g. RecursiveAction, AsyncAction. Check the Javadoc for details. Now define a small test class for testing it efficiency. A concurrent application has the risk of a deadlock. A set of processes are deadlocked if all processes are waiting for an event which another process in the same set has to cause. For example if thread A waits for a lock on object Z which thread B holds and thread B wait for a look on object Y which is hold be process A then these two processes are locked and cannot continue in their processing. 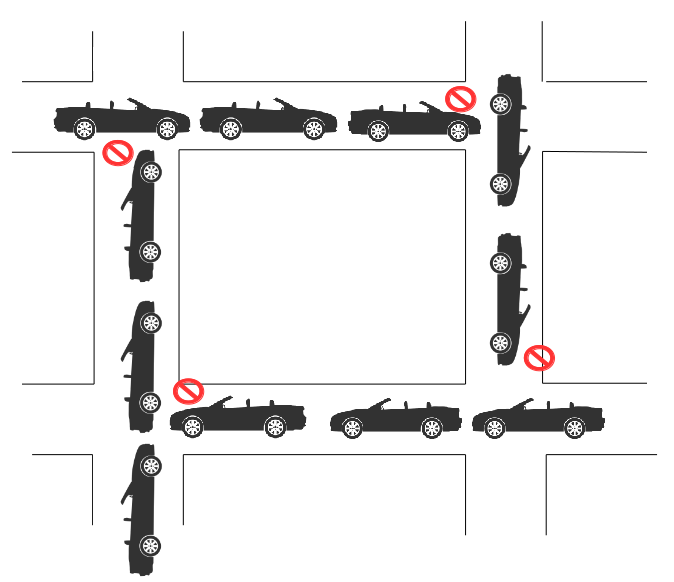 This can be compared to a traffic jam, where cars(threads) require the access to a certain street(resource), which is currently blocked by another car(lock). The vogella company provides comprehensive training and education services from experts in the areas of Eclipse RCP, Android, Git, Java, Gradle and Spring. We offer both public and inhouse training. Whichever course you decide to take, you are guaranteed to experience what many before you refer to as “The best IT class I have ever attended”. The vogella company offers expert consulting services, development support and coaching. Our customers range from Fortune 100 corporations to individual developers. Copyright © 2012-2017 vogella GmbH. Free use of the software examples is granted under the terms of the EPL License. This tutorial is published under the Creative Commons Attribution-NonCommercial-ShareAlike 3.0 Germany license. The most common reason for using transactions in an application is to maintain a high degree of data integrity and consistency. If you’re unconcerned about the quality of your data, you needn’t concern yourself with transactions. After all, transaction support in the Java platform can kill performance, introduce locking issues and database concurrency problems, and add complexity to your application. But developers who don’t concern themselves with transactions do so at their own peril. Almost all business-related applications require a high degree of data quality. The financial investment industry alone wastes tens of billions of dollars on failed trades, with bad data being the second-leading cause. Although lack of transaction support is only one factor leading to bad data (albeit a major one), a safe inference is that billions of dollars are wasted in the financial investment industry alone as a result of nonexistent or poor transaction support. Transactions improve the quality, integrity, and consistency of your data and make your applications more robust. Implementation of successful transaction processing in Java applications is not a trivial exercise, and it’s about design as much as about coding. In this new series, Mark Richards is your guide to designing an effective transaction strategy for use cases ranging from simple applications to high-performance transaction processing. Ignorance about transaction support is another source of problems. All too often I hear claims like “we don’t need transaction support in our applications because they never fail.” Right. I have witnessed some applications that in fact rarely or never throw exceptions. These applications bank on well-written code, well-written validation routines, and full testing and code coverage support to avoid the performance costs and complexity associated with transaction processing. The problem with this type of thinking is that it takes into account only one characteristic of transaction support: atomicity. Atomicity ensures that all updates are treated as a single unit and are either all committed or all rolled back. But rolling back or coordinating updates isn’t the only aspect of transaction support. Another aspect, isolation, ensures that one unit of work is isolated from other units of work. Without proper transaction isolation, other units of work can access updates made by an ongoing unit of work, even though that unit of work is incomplete. As a result, business decisions might be made on the basis of partial data, which could cause failed trades or other negative (or costly) outcomes. I started to appreciate the problems with transaction processing in early 2000 when, while working at a client site, I noticed a line item on the project plan right above the system testing task. It read implement transaction support. Sure, easy enough to add transaction support to a major application when it is almost ready for system testing, right? Unfortunately, this approach is all too common. At least this project, unlike most, was implementing transaction support, albeit at the end of the development cycle. So, given the high cost and negative impact of bad data and the basic knowledge that transactions are important (and necessary), you need to use transactions and learn how to deal with the issues that can arise. You press on and add transaction support to your applications. And that’s where the problem often begins. Transactions don’t always seem to work as promised in the Java platform. This article is an exploration of the reasons why. With the help of code examples, I’ll introduce some of the common transaction pitfalls I continually see and experience in the field, in most cases in production environments. Although most of this article’s code examples use the Spring Framework (version 2.5), the transaction concepts are the same as for the EJB 3.0 specification. In most cases, it is simply a matter of replacing the Spring Framework @Transactional annotation with the @TransactionAttribute annotation found in the EJB 3.0 specification. Where the two frameworks differ in concept and technique, I have included both Spring Framework and EJB 3.0 source code examples. The JDBC code in Listing 1 includes no transaction logic, yet it persists the trade order in the TRADE table in the database. In this case, the database handles the transaction logic. In this case, the insertTrade() and updateAcct() methods use standard JDBC code without transactions. Once the insertTrade() method ends, the database has persisted (and committed) the trade order. If the updateAcct() method should fail for any reason, the trade order would remain in the TRADE table at the end of the placeTrade() method, resulting in inconsistent data in the database. If the placeTrade() method had used transactions, both of these activities would have been included in a single LUW, and the trade order would have been rolled back if the account update failed. Notice that Listing 3 invokes the persist() method on the EntityManager to insert the trade order. Simple, right? Not really. This code will not insert the trade order into the TRADE table as expected, nor will it throw an exception. It will simply return a value of 0 as the key to the trade order without changing the database. This is one of the first major pitfalls of transaction processing: ORM-based frameworks require a transaction in order to trigger the synchronization between the object cache and the database. It is through a transaction commit that the SQL code is generated and the database affected by the desired action (that is, insert, update, delete). Without a transaction there is no trigger for the ORM to generate SQL code and persist the changes, so the method simply ends — no exceptions, no updates. If you are using an ORM-based framework, you must use transactions. You can no longer rely on the database to manage the connections and commit the work. These simple examples should make it clear that transactions are necessary in order to maintain data integrity and consistency. But they only begin to scratch the surface of the complexity and pitfalls associated with implementing transactions in the Java platform. You retest your code, and you find it still doesn’t work. The problem is that you must tell the Spring Framework that you are using annotations for your transaction management. Unless you are doing full unit testing, this pitfall is sometimes hard to discover. It usually leads to developers simply adding the transaction logic in the Spring configuration files rather than through annotations. The transaction-manager property holds a reference to the transaction manager bean defined in the Spring configuration file. This code tells Spring to use the @Transaction annotation when applying the transaction interceptor. Without it, the @Transactional annotation is ignored, resulting in no transaction being used in your code. Getting the basic @Transactional annotation to work in the code in Listing 4 is only the beginning. Notice that Listing 4 uses the @Transactional annotation without specifying any additional annotation parameters. I’ve found that many developers use the @Transactional annotation without taking the time to understand fully what it does. For example, when using the @Transactional annotation by itself as I do in Listing 4, what is the transaction propagation mode set to? What is the read-only flag set to? What is the transaction isolation level set to? More important, when should the transaction roll back the work? Understanding how this annotation is used is important to ensuring that you have the proper level of transaction support in your application. To answer the questions I’ve just asked: when using the @Transactional annotation by itself without any parameters, the propagation mode is set to REQUIRED, the read-only flag is set to false, the transaction isolation level is set to the database default (usually READ_COMMITTED), and the transaction will not roll back on a checked exception. A common pitfall I frequently come across in my travels is the improper use of the read-only flag on the Spring @Transactional annotation. Here is a quick quiz for you: When using standard JDBC code for Java persistence, what does the @Transactional annotation in Listing 5 do when the read-only flag is set to true and the propagation mode set to SUPPORTS? Give up? The correct answer is B. The trade order is correctly inserted into the database, even though the read-only flag is set to true and the transaction propagation set to SUPPORTS. But how can that be? No transaction is started because of the SUPPORTS propagation mode, so the method effectively uses a local (database) transaction. The read-only flag is applied only if a transaction is started. In this case, no transaction was started, so the read-only flag is ignored. Okay, so if that is the case, what does the @Transactional annotation do in Listing 6 when the read-only flag is set and the propagation mode is set to REQUIRED? This one should be easy to answer given the prior explanation. The correct answer here is A. An exception will be thrown, indicating that you are trying to perform an update operation on a read-only connection. Because a transaction is started (REQUIRED), the connection is set to read-only. Sure enough, when you try to execute the SQL statement, you get an exception telling you that the connection is a read-only connection. The odd thing about the read-only flag is that you need to start a transaction in order to use it. Why would you need a transaction if you are only reading data? The answer is that you don’t. Starting a transaction to perform a read-only operation adds to the overhead of the processing thread and can cause shared read locks on the database (depending on what type of database you are using and what the isolation level is set to). The bottom line is that the read-only flag is somewhat meaningless when you use it for JDBC-based Java persistence and causes additional overhead when an unnecessary transaction is started. What about when you use an ORM-based framework? In keeping with the quiz format, can you guess what the result of the @Transactional annotation in Listing 7 would be if the insertTrade() method were invoked using JPA with Hibernate? The answer to this question is a bit more tricky. In some cases the answer is C, but in most cases (particularly when using JPA) the answer is B. The trade order is correctly inserted into the database without error. Wait a minute — the preceding example shows that a read-only connection exception would be thrown when the REQUIRED propagation mode is used. That is true when you use JDBC. However, when you use an ORM-based framework, the read-only flag works a bit differently. When you are generating a key on an insert, the ORM framework will go to the database to obtain the key and subsequently perform the insert. For some vendors, such as Hibernate, the flush mode will be set to MANUAL, and no insert will occur for inserts with non-generated keys. The same holds true for updates. However, other vendors, like TopLink, will always perform inserts and updates when the read-only flag is set to true. Although this is both vendor and version specific, the point here is that you cannot be guaranteed that the insert or update will not occur when the read-only flag is set, particularly when using JPA as it is vendor-agnostic. Which brings me to another major pitfall I frequently encounter. Given all you’ve read so far, what do you suppose the code in Listing 8 would do if you only set the read-only flag on the @Transactional annotation? At certain times you may want to start a transaction for a database read operation — for example, when isolating your read operations for consistency or setting a specific transaction isolation level for the read operation. However, these situations are rare in business applications, and unless you’re faced with one, you should avoid starting a transaction for database read operations, as they are unnecessary and can lead to database deadlocks, poor performance, and poor throughput. This happens because a new transaction is started in the updateAcct() method, so that transaction commits once the updateAcct() method ends. When you use the REQUIRES_NEW transaction attribute, if an existing transaction context is present, the current transaction is suspended and a new transaction started. Once that method ends, the new transaction commits and the original transaction resumes. Because of this behavior, the REQUIRES_NEW transaction attribute should be used only if the database action in the method being invoked needs to be saved to the database regardless of the outcome of the overlaying transaction. For example, suppose that every stock trade that was attempted had to be recorded in an audit database. This information needs to be persisted whether or not the trade failed because of validation errors, insufficient funds, or some other reason. If you did not use the REQUIRES_NEW attribute on the audit method, the audit record would be rolled back along with the attempted trade. Using the REQUIRES_NEW attribute guarantees that the audit data is saved regardless of the initial transaction’s outcome. The main point here is always to use either the MANDATORY or REQUIRED attribute instead of REQUIRES_NEW unless you have a reason to use it for reasons similar those to the audit example. I’ve saved the most common transaction pitfall for last. Unfortunately, I see this one in production code more times than not. I’ll start with the Spring Framework and then move on to EJB 3. Suppose the account does not have enough funds to purchase the stock in question or is not set up to purchase or sell stock yet and throws a checked exception (for example, FundsNotAvailableException). Does the trade order get persisted in the database or is the entire logical unit of work rolled back? The answer, surprisingly, is that upon a checked exception (either in the Spring Framework or EJB), the transaction commits any work that has not yet been committed. Using Listing 13, this means that if a checked exception occurs during the updateAcct() method, the trade order is persisted, but the account isn’t updated to reflect the trade. This is perhaps the primary data-integrity and consistency issue when transactions are used. Run-time exceptions (that is, unchecked exceptions) automatically force the entire logical unit of work to roll back, but checked exceptions do not. Therefore, the code in Listing 13 is useless from a transaction standpoint; although it appears that it uses transactions to maintain atomicity and consistency, in fact it does not. Although this sort of behavior may seem strange, transactions behave this way for some good reasons. First of all, not all checked exceptions are bad; they might be used for event notification or to redirect processing based on certain conditions. But more to the point, the application code may be able to take corrective action on some types of checked exceptions, thereby allowing the transaction to complete. For example, consider the scenario in which you are writing the code for an online book retailer. To complete the book order, you need to send an e-mail confirmation as part of the order process. If the e-mail server is down, you would send some sort of SMTP checked exception indicating that the message cannot be sent. If checked exceptions caused an automatic rollback, the entire book order would be rolled back just because the e-mail server was down. By not automatically rolling back on checked exceptions, you can catch that exception and perform some sort of corrective action (such as sending the message to a pending queue) and commit the rest of the order. Notice the use of the rollbackFor parameter in the @Transactional annotation. This parameter accepts either a single exception class or an array of exception classes, or you can use the rollbackForClassName parameter to specify the names of the exceptions as Java String types. You can also use the negative version of this property (noRollbackFor) to specify that all exceptions should force a rollback except certain ones. Typically most developers specify Exception.class as the value, indicating that all exceptions in this method should force a rollback. Once the setRollbackOnly() method is invoked, you cannot change your mind; the only possible outcome is to roll back the transaction upon completion of the method that started the transaction. The transaction strategies described in future articles in the series will provide guidance on when and where to use the rollback directives and on when to use the REQUIRED vs. MANDATORY transaction attributes. The code used to implement transactions in the Java platform is not overly complex; however, how you use and configure it can get somewhat complex. Many pitfalls are associated with implementing transaction support in the Java platform (including some less common ones that I haven’t discussed here). The biggest issue with most of them is that no compiler warnings or run-time errors tell you that the transaction implementation is incorrect. Furthermore, contrary to the assumption reflected in the “Better late than never” anecdote at the start of this article, implementing transaction support is not only a coding exercise. A significant amount of design effort goes into developing an overall transaction strategy. The rest of the Transaction strategies series will help guide you in terms of how to design an effective transaction strategy for use cases ranging from simple applications to high-performance transaction processing.